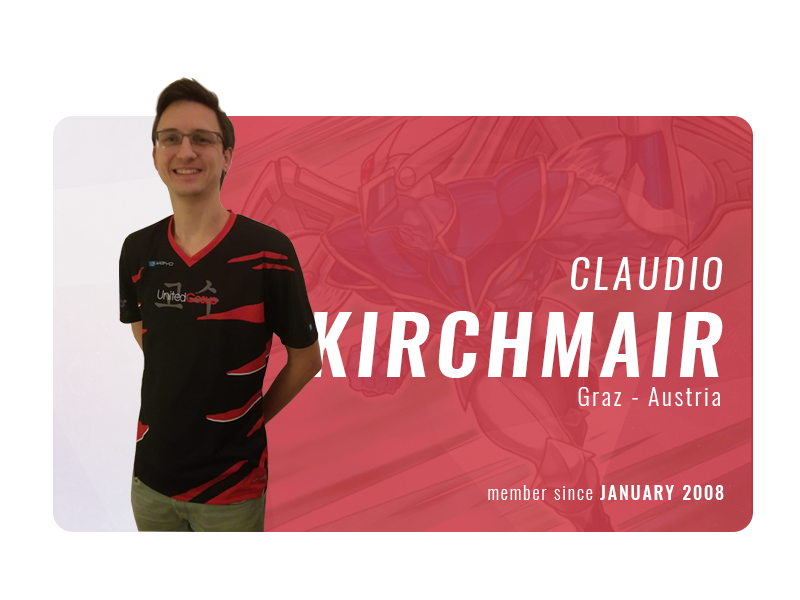 My name is Claudio Kirchmair, I’m 27 years old and I’m from Austria. I study Software Development and Business Management at the Technic University in Graz, Austria and work as a Software Developer at the same time. I like to travel, meet new people and generally just enjoy life. When I’m not playing games on Dueling Network, I’m watching some good Starcraft II games, or chilling with my friends and enjoying some good drinks. I have also a great sense of humour and absolutely love good food. I’ve been playing the Yu-Gi-Oh! Trading Card Game since 2002 and always love to create new decks or to create the perfect list for current Meta decks. I take enough time to consider my turns and to be an honest opponent. I like to spend a lot of time thinking about some Yu-Gi-Oh! theory and think a little bit outside of the box. 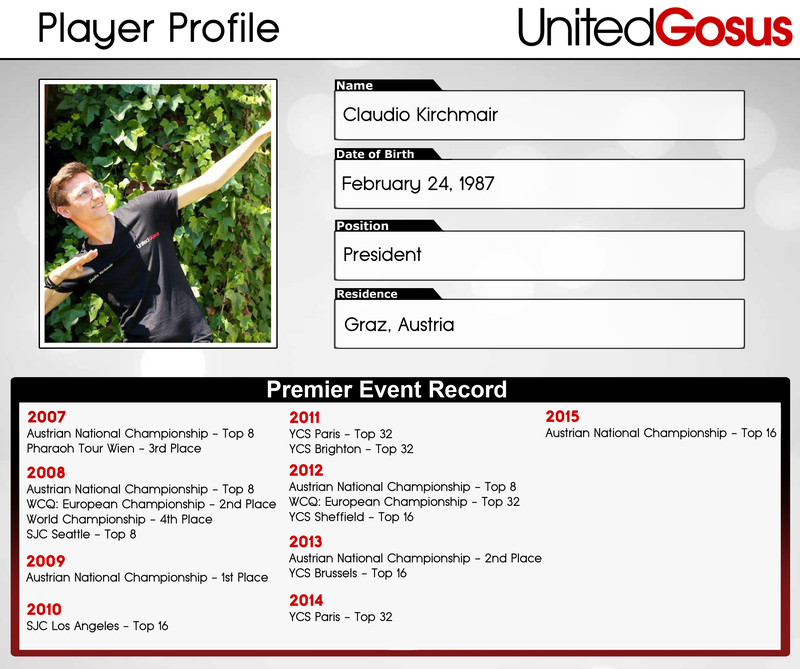 My skill increased a lot after I joined United Gosus because I was able to learn from better players until I reached their level. 2013 YCS Brussels – Day 2 Deck Construction! 2013 YCS Brussels – QQ: How satisfied are you with the cards you opened? 2013 YCS Brussels – QQ: What cards would you like to open? 2012 YCS Barcelona – More Attack of the Giant Card champions!!! 2012 WCQ: European Championship – QQ: Which Change Do You Want to See Made to the Forbidden & Limited List? 2011 YCS Brighton – A look at the Top 32 action! 2010 WCQ: European Championship – QQ: How do you deal with defeats?